In order to master jazz Guitar, it is essential to first understand rhythm changes. This comprehensive book by renowned jazz guitarist Frank Vignolaintroduces the foundational chord progressions of jazz and will teach you how to navigate comfortably through rhythm changes in every key. 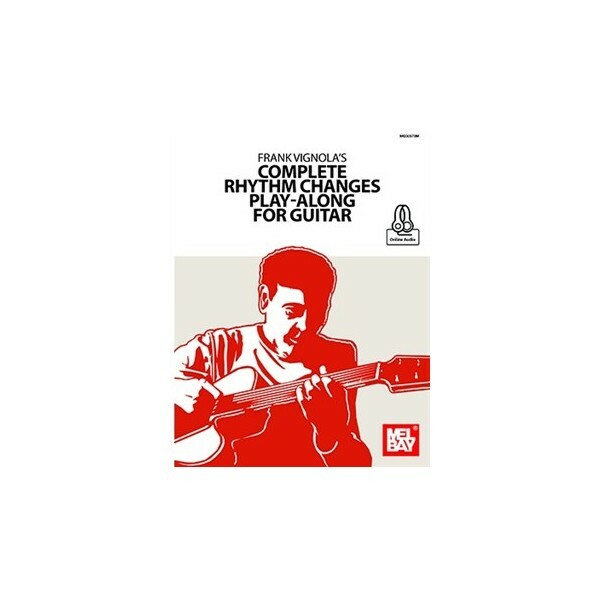 Frank Vignola's Complete Rhythm Changes Play-Along For Guitarpresents 34 original etudes in standard notation and tablature. Readers can practice these melodies and solos along with Vignola's recorded accompaniments which are included for download online. Daily practice will enable the guitarist to hear and improvise over rhythm changes in any key/position. The performance-tempo recordings of the solos include numerous choruses of isolated rhythm section accompaniment. This allows the reader to practice just the written solos (as well as their own).